"What then is the American, this new man?" This question is explored here through the lives and writings of a sequence of imaginative authors each of whom confronted a crucial moment in the evolution of the new nation (from Crevecoeur and the Revolution, through Washington Irving and Jeffersonian Democracy, to James Fenimore Cooper and the Era of Good Feelings). At the centre of these confrontations was a division between those who claimed national perfection had been obtained, and those who, while desperately wanting to believe this, perceived all too clearly that that perfection had not yet come. 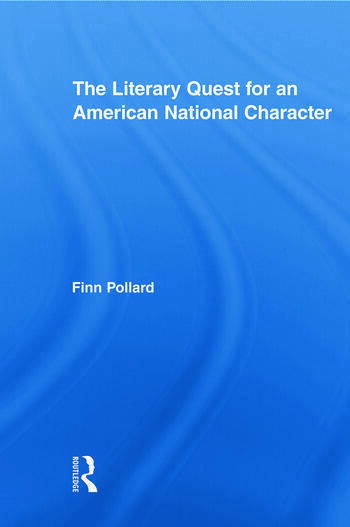 Rediscovering this neglected literary debate, The Literary Quest for an American National Character illuminates afresh the traumatic birth and development of the new American nation. Finn Pollard is a historian of the literature and politics of revolutionary and early national United States. He is a graduate of the University of Edinburgh and has held lectureships at the universities of Glasgow and Newcastle.